WebClock is an Internet-based solution that allows employees to clock in/out or view their time cards conveniently over a web browser from any authorized workstation. 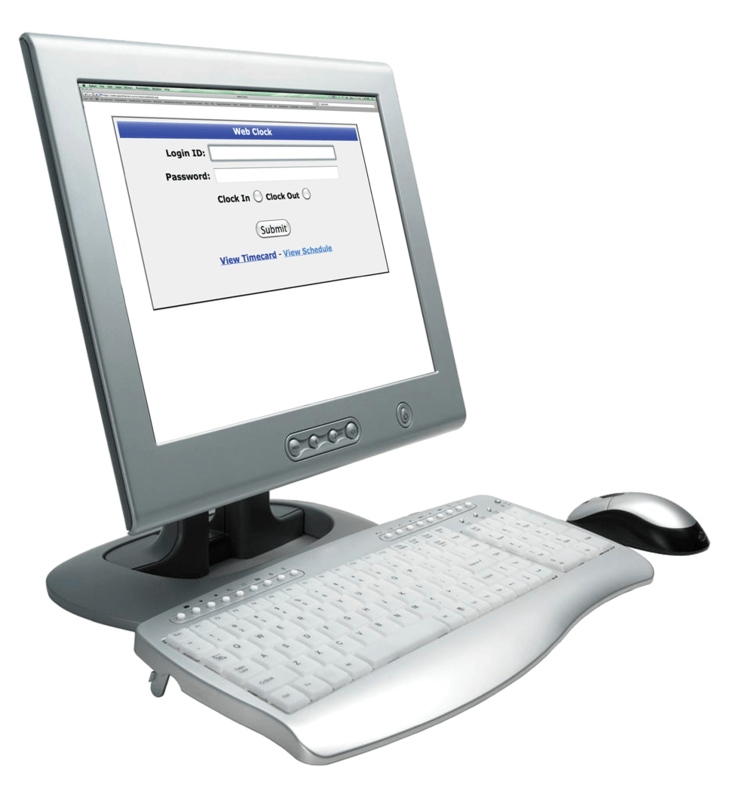 With IP filters employers can restrict which computers act as a time clock. It’s the ideal solution for environments with workstations connected to the Web that may not need a traditional wall mounted time clock.